East Precinct officers responded to the Foster Square Shopping Center at 6868 S.E. 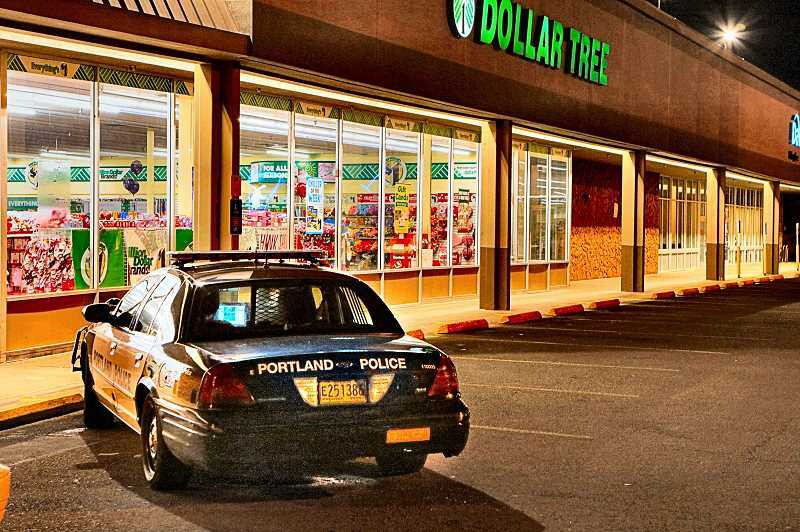 Foster Road, at 9:14 in the evening on January 14, when a confirmed robbery alarm was triggered at the Dollar Tree store. Having learned that the suspect had fled westbound from the store on Foster Road, one officer entered the shop to interview the employees, while others fanned out through nearby streets in the Foster-Powell neighborhood. Apparently the suspect, who brandished what was described as a 12 to 18-inch knife and demanded cash, stuffed the dollars into a ZipLok bag as he fled into the neighborhood. "We might be calling this suspect the 'Tighty-whitie Bandit'; his disguise was described as being white underpants pulled over his face as a mask," an officer reported back to dispatchers. Security video was unavailable, nor was there a better description of the suspect. Officers failed to find anyone in the neighborhood with underpants on his head, during the search.